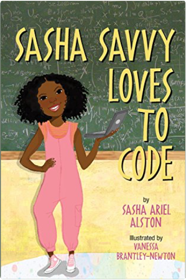 Sasha Ariel AlstonSasha Savvy Loves to Code is an early reader chapter book (ages 7-10). The main character, Sasha Savvy, is a super smart 10-year old African-American girl, who lives in Washington, DC. Sasha must choose which class to take for summer camp. Her mom discovers that the camp is offering a new class for girls on how to code. Sasha thinks this will be boring and doesn’t believe that she is good at computer stuff. Despite this, she decides to give it a chance and convinces her best friends Gabby Reyes and Ashley Webster, to attend the coding camp with her. Sasha’s mom, a Software Developer, gives her a unique formula to help her remember how to code but will it be enough to get her through a challenging first day of camp with bugs everywhere, computing errors, that is. Richard Banfield, Martin Eriksson, Nate WalkingshawIn today’s lightning-fast technology world, good product management is critical to maintaining a competitive advantage. Yet, managing human beings and navigating complex product roadmaps is no easy task, and it’s rare to find a product leader who can steward a digital product from concept to launch without a couple of major hiccups. Why do some product leaders succeed while others don’t? 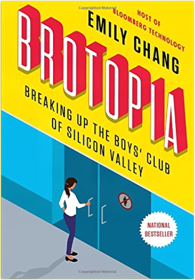 In this powerful exposé, Bloomberg TV journalist Emily Chang reveals how Silicon Valley got so sexist despite its utopian ideals, why bro culture endures despite decades of companies claiming the moral high ground (Don't Be Evil! Connect the World! )—and how women are finally starting to speak out and fight back. Drawing on her deep network of Silicon Valley insiders, Chang opens the boardroom doors of male-dominated venture capital firms like Kleiner Perkins, the subject of Ellen Pao's high-profile gender discrimination lawsuit, and Sequoia, where a partner once famously said they "won't lower their standards" just to hire women. 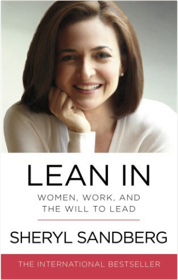 Interviews with Facebook COO Sheryl Sandberg, YouTube CEO Susan Wojcicki, and former Yahoo! CEO Marissa Mayer—who got their start at Google, where just one in five engineers is a woman—reveal just how hard it is to crack the Silicon Ceiling. And Chang shows how women such as former Uber engineer Susan Fowler, entrepreneur Niniane Wang, and game developer Brianna Wu, have risked their careers and sometimes their lives to pave a way for other women. Silicon Valley's aggressive, misogynistic, work-at-all costs culture has shut women out of the greatest wealth creation in the history of the world. It's time to break up the boys' club. Emily Chang shows us how to fix this toxic culture—to bring down Brotopia, once and for all. David Bryant Copeland11 simple practices a software engineer can apply to be more a more effective contributor and more productive team member. Included are personal processes for fixing bugs and implementing new features, tips for writing, interviewing, and time management, as well as guides for bootstrapping new projects, making technical arguments, and leading a team. 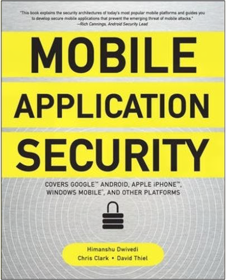 Himanshu Dwivedi is a co-founder of iSEC Partners (www.isecpartners.com), an information security firm specializing in application security. Chris Clark is a principal security consultant with iSEC Partners. David Thiel is a principal security consultant with iSEC Partners. 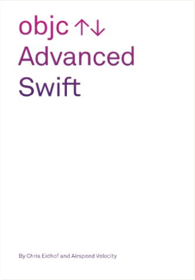 Chris Eidhof, Airspeed VelocityAdvanced Swift takes you through Swift’s features, from low-level programming to high-level abstractions. Jerry FitzpatrickMost software projects have dreadful quality! Good intentions and wishful thinking do not impart quality. Neither do software principles and practices if you overlook the fundamentals. 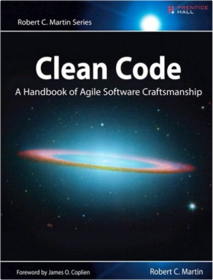 The fundamental laws described in this book are universally important, yet software quality suffers because they are violated by most projects. 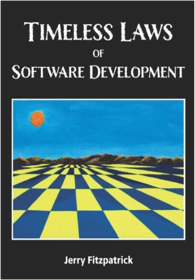 Regardless of your role and experience, this book will change your view of software development forever. Dr. Patti FletcherThis book is not about what women should do, and it’s not a preachy TEDTalk. 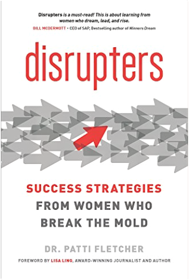 Disrupters shows what different women in business have done to reach success as they define it. From board members to CEOs to freelancers, the business world is stacked against women because they follow the unspoken rules of business culture made long before women entered the workforce. 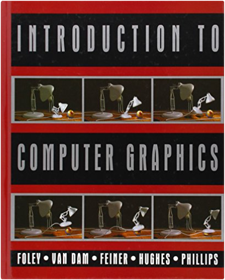 James D. Foley, Andries van Dam, Steven K. Feiner, John F. Hughes, Richard L. PhillipsThis adaptation of the definitive book in the field (Computer Graphics, Second Edition by Foley, et al.,) provides a more concise, less expensive introduction to computer graphics. While retaining the currency and accuracy of the larger work, coverage has been trimmed to the essential topics. Explanations of key concepts have been expanded and further illustrated, assuming less background on the part of the reader. This brief version uses C as the programming language for all worked examples. 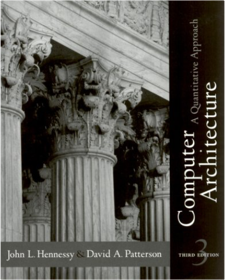 An Introduction to Computer Graphics does not replace the highly regarded Second Edition of Foley, et al., but simply offers professionals the option of a briefer, less expensive version. 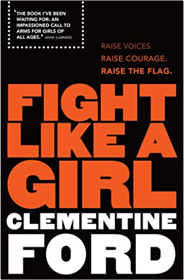 Clementine Ford'With wit, insight and glorious, righteous rage, Clementine Ford lays out all the ways in which girls and women are hurt and held back, and unapologetically demands that the world do better. A passionate and urgently needed call to arms, Fight Like A Girl insists on our right to be angry, to be heard and to fight. It'll change lives.' Emily Maguire, author of An Isolated Incident A friend recently told me that the things I write are powerful for her because they have the effect of making her feel angry instead of just empty. I want to do this for all women and young girls - to take the emptiness and numbness they feel about being a girl in this world and turn it into rage and power. I want to teach all of them how to FIGHT LIKE A GIRL. Clementine Ford Online sensation, fearless feminist heroine and scourge of trolls and misogynists everywhere, Clementine Ford is a beacon of hope and inspiration to thousands of Australian women and girls. Her incendiary debut Fight Like A Girl is an essential manifesto for feminists new, old and soon-to-be, and exposes just how unequal the world continues to be for women. Crucially, it is a call to arms for all women to rediscover the fury that has been suppressed by a society that still considers feminism a threat. Fight Like A Girl will make you laugh, cry and scream. But above all it will make you demand and fight for a world in which women have real equality and not merely the illusion of it. Camille FournierManaging people is difficult wherever you work. But in the tech industry, where management is also a technical discipline, the learning curve can be brutal—especially when there are few tools, texts, and frameworks to help you. 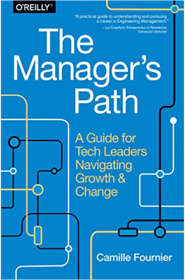 In this practical guide, author Camille Fournier (tech lead turned CTO) takes you through each stage in the journey from engineer to technical manager. 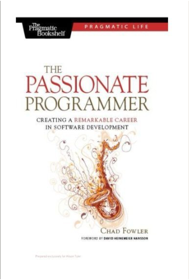 Chad FowlerSuccess in today's IT environment requires you to view your career as a business endeavor. In this book, you'll learn how to become an entrepreneur, driving your career in the direction of your choosing. You'll learn how to build your software development career step by step, following the same path that you would follow if you were building, marketing, and selling a product. After all, your skills themselves are a product. The choices you make about which technologies to focus on and which business domains to master have at least as much impact on your success as your technical knowledge itself—don't let those choices be accidental. We'll walk through all aspects of the decision-making process, so you can ensure that you're investing your time and energy in the right areas. Above all, you'll see how you can set the direction of your career, leading to a more fulfilling and remarkable professional life. 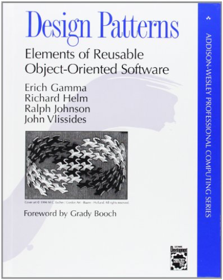 Erich Gamma, Richard Helm, Ralph Johnson, John VlissidesThese texts cover the design of object-oriented software and examine how to investigate requirements, create solutions and then translate designs into code, showing developers how to make practical use of the most significant recent developments. A summary of UML notation is included. 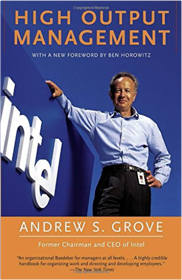 Andrew S. GroveIn this legendary business book and Silicon Valley staple, the former chairman and CEO (and employee number three) of Intel shares his perspective on how to build and run a company. 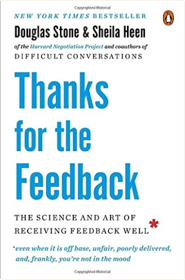 Chip Heath, Dan HeathTHE NEW YORK TIMES BESTSELLER 'Beautifully written, brilliantly researched' Angela Duckworth, bestselling author of GRIT 'The most interesting, immediately actionable book I've read in quite a while... If life is a series of moments, the Heath brothers have transformed how I plan to spend mine' Adam Grant, bestselling author of ORIGINALS and OPTION B, with Sheryl Sandberg In this latest New York Times bestseller by the authors of Switch and Made to Stick, Chip and Dan Heath explore why certain brief experiences can jolt, elevate and change us - and how we can learn to create such extraordinary moments in our own life and work. What if a teacher could design a lesson that he knew his students would remember twenty years later? What if a doctor or nurse knew how to orchestrate moments that would bring more comfort to patients? What if you had a better sense of how to create memories that matter for your children? Many of the defining moments in our lives are the result of accident or luck - but why leave our most meaningful, memorable moments to chance when we can create them? In The Power of Moments, Chip and Dan Heath explore the stories of people who have created standout moments, from the owners who transformed an utterly mediocre hotel into one of the best-loved properties in Los Angeles by conjuring moments of magic for guests, to the scrappy team that turned around one of the worst elementary schools in the country by embracing an intervention that lasts less than an hour. 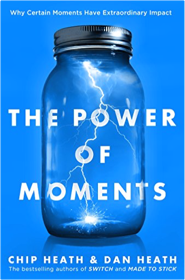 Filled with remarkable tales and practical insights, The Power of Moments proves we all have the power to transform ordinary experiences into unforgettable ones. John L. Hennessy, David A. PattersonThis best-selling title, considered for over a decade to be essential reading for every serious student and practitioner of computer design, has been updated throughout to address the most important trends facing computer designers today. In this edition, the authors bring their trademark method of quantitative analysis not only to high performance desktop machine design, but also to the design of embedded and server systems. They have illustrated their principles with designs from all three of these domains, including examples from consumer electronics, multimedia and web technologies, and high performance computing. 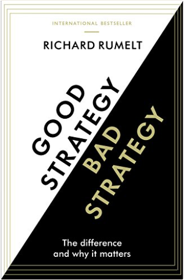 The book retains its highly rated features: Fallacies and Pitfalls, which share the hard-won lessons of real designers; Historical Perspectives, which provide a deeper look at computer design history; Putting it all Together, which present a design example that illustrates the principles of the chapter; Worked Examples, which challenge the reader to apply the concepts, theories and methods in smaller scale problems; and Cross-Cutting Issues, which show how the ideas covered in one chapter interact with those presented in others. In addition, a new feature, Another View, presents brief design examples in one of the three domains other than the one chosen for Putting It All Together. The authors present a new organization of the material as well, reducing the overlap with their other text, Computer Organization and Design: A Hardware/Software Approach 2/e, and offering more in-depth treatment of advanced topics in multithreading, instruction level parallelism, VLIW architectures, memory hierarchies, storage devices and network technologies. Also new to this edition, is the adoption of the MIPS 64 as the instruction set architecture. In addition to several online appendixes, two new appendixes will be printed in the book: one contains a complete review of the basic concepts of pipelining, the other provides solutions a selection of the exercises. Both will be invaluable to the student or professional learning on her own or in the classroom. Hennessy and Patterson continue to focus on fundamental techniques for designing real machines and for maximizing their cost/performance. * Examines quantitative performance analysis in the commercial server market and the embedded market, as well as the traditional desktop market. Updates all the examples and figures with the most recent benchmarks, such as SPEC 2000. * Expands coverage of instruction sets to include descriptions of digital signal processors, media processors, and multimedia extensions to desktop processors. * Analyzes capacity, cost, and performance of disks over two decades. Surveys the role of clusters in scientific computing and commercial computing. * Presents a survey, taxonomy, and the benchmarks of errors and failures in computer systems. * Presents detailed descriptions of the design of storage systems and of clusters. * Surveys memory hierarchies in modern microprocessors and the key parameters of modern disks. * Presents a glossary of networking terms. 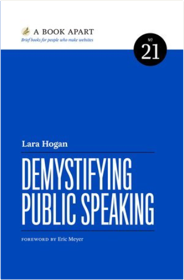 Lara HoganDon't think public speaking is for you? It is-whether you're bracing for a conference talk or a team meeting. Lara Hogan helps you identify your fears and effectively face them, so you can make your way to the stage (big or small). Get clear, practical advice through every step, from choosing a topic and creating a presentation, to gathering and distilling feedback, to event-day prep. You'll feel confident and equipped to step into the spotlight. Lara Callender HoganAs a web designer, you encounter tough choices when it comes to weighing aesthetics and performance. Good content, layout, images, and interactivity are essential for engaging your audience, and each of these elements have an enormous impact on page load time and the end-user experience. 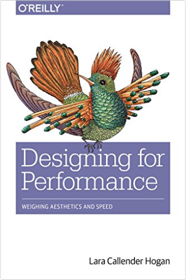 In this practical book, Lara Hogan helps you approach projects with page speed in mind, showing you how to test and benchmark which design choices are most critical. 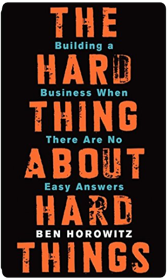 Ben HorowitzBen Horowitz, cofounder of Andreessen Horowitz and one of Silicon Valley's most respected and experienced entrepreneurs, offers essential advice on building and running a startup—practical wisdom for managing the toughest problems business school doesn’t cover, based on his popular ben’s blog. 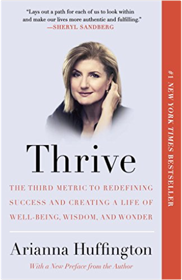 Arianna HuffingtonIn Thrive, Arianna Huffington makes an impassioned and compelling case for the need to redefine what it means to be successful in today's world. Arianna Huffington's personal wake-up call came in the form of a broken cheekbone and a nasty gash over her eye—the result of a fall brought on by exhaustion and lack of sleep. As the cofounder and editor-in-chief of the Huffington Post Media Group—one of the fastest growing media companies in the world—celebrated as one of the world's most influential women, and gracing the covers of magazines, she was, by any traditional measure, extraordinarily successful. Yet as she found herself going from brain MRI to CAT scan to echocardiogram, to find out if there was any underlying medical problem beyond exhaustion, she wondered is this really what success feels like? As more and more people are coming to realize, there is far more to living a truly successful life than just earning a bigger salary and capturing a corner office. Our relentless pursuit of the two traditional metrics of success—money and power—has led to an epidemic of burnout and stress-related illnesses, and an erosion in the quality of our relationships, family life, and, ironically, our careers. In being connected to the world 24/7, we're losing our connection to what truly matters. Our current definition of success is, as Thrive shows, literally killing us. We need a new way forward. In a commencement address Arianna gave at Smith College in the spring of 2013, she likened our drive for money and power to two legs of a three-legged stool. 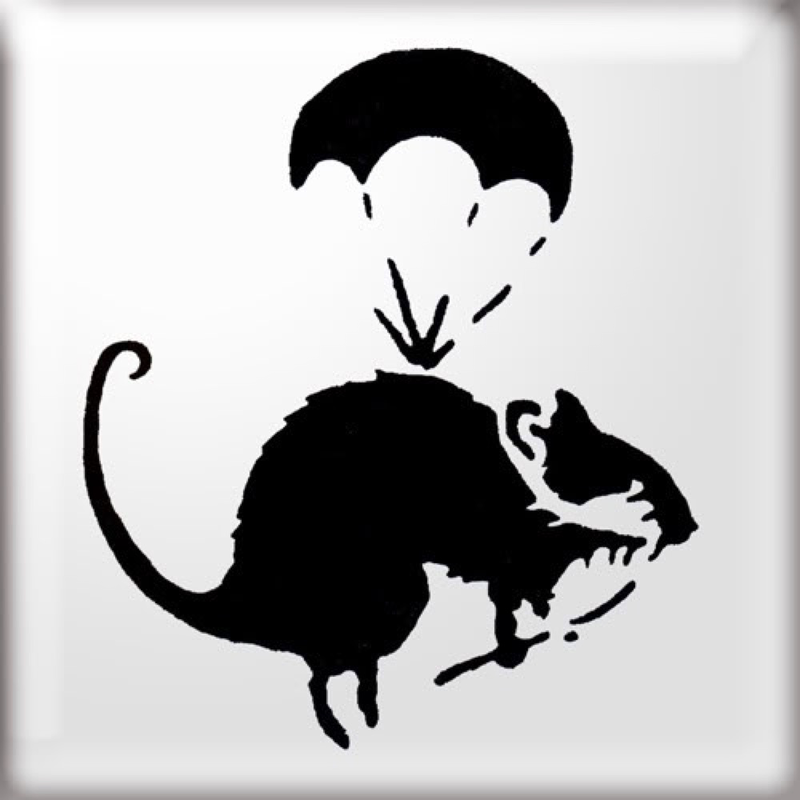 They may hold us up temporarily, but sooner or later we're going to topple over. We need a third leg—a third metric for defining success—to truly thrive. That third metric, she writes in Thrive, includes our well-being, our ability to draw on our intuition and inner wisdom, our sense of wonder, and our capacity for compassion and giving. As Arianna points out, our eulogies celebrate our lives very differently from the way society defines success. They don't commemorate our long hours in the office, our promotions, or our sterling PowerPoint presentations as we relentlessly raced to climb up the career ladder. They are not about our resumes—they are about cherished memories, shared adventures, small kindnesses and acts of generosity, lifelong passions, and the things that made us laugh. 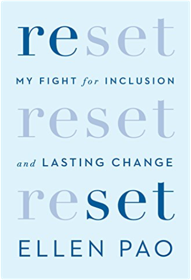 In this deeply personal book, Arianna talks candidly about her own challenges with managing time and prioritizing the demands of a career and raising two daughters—of juggling business deadlines and family crises, a harried dance that led to her collapse and to her "aha moment." Drawing on the latest groundbreaking research and scientific findings in the fields of psychology, sports, sleep, and physiology that show the profound and transformative effects of meditation, mindfulness, unplugging, and giving, Arianna shows us the way to a revolution in our culture, our thinking, our workplace, and our lives. 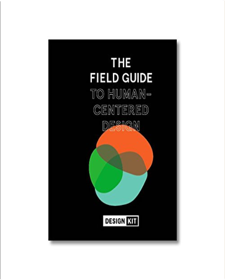 IDEO.orgA step-by-step guide that will get you solving problems like a designer. ThoughtWorks Inc.When you hit a rough spot in software development, it's nice to know that someone has been there before. The domain experts at ThoughtWorks share what they've learned in this anthology, bringing together the best field-tested insights in IT and software development. You'll benefit from their experience in areas from testing to information visualization, from object oriented to functional programming, from incremental development to driving innovation in delivery. You'll find yourself referring to this collection of solved problems whenever you need an expert's insight. This new collection of essays from the experts at ThoughtWorks offers practical insight and advice on a range of challenges faced daily by software developers and IT professionals. It covers a broad spectrum of software development topics, from tuning agile methodologies to hard-core language geekery. 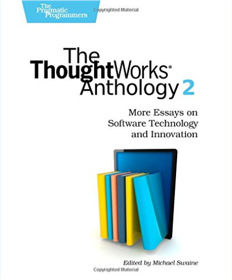 This anthology captures the wide-ranging intellect and diversity of ThoughtWorks, reflected through practical and timely topics. Each essay focuses on extending your skills and enlarging your toolkit. And each is drawn from practical experience gained in the field. 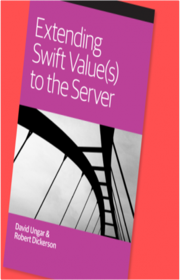 You'll benefit from this book if you are involved in developing, deploying, or testing software, either as a manager or developer. 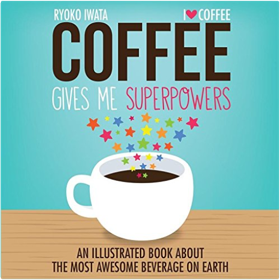 Ryoko IwataFor coffee lovers and those who love them, Coffee Gives Me Superpowers is a fun, graphic design-centered book focused on one of the world's most addictive and beloved substances—coffee. 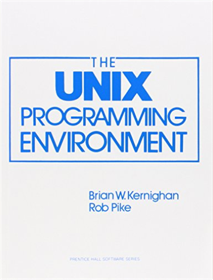 Brian W. Kernighan, Rob PikeDesigned for first-time and experienced users, this book describes the UNIX® programming environment and philosophy in detail. Readers will gain an understanding not only of how to use the system, its components, and the programs, but also how these fit into the total environment. 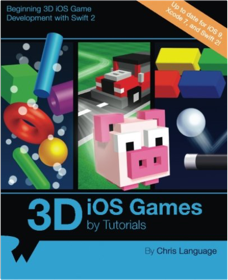 Chris LanguageLearn How to Make 3D iOS Games! Topics Covered in 3D iOS Games by Tutorials:Scene Kit: Get to know the basics with your first Scene Kit game project.Nodes: Use nodes with geometry and cameras to construct a 3D scene.Physics: Unleash the power of the built-in physics engine.Render Loop: Learn how you can leverage the Render Loop for updates.Particle Systems: Create massive explosions with the built-in 3D Particle Engine.Scene Editor: Create stunning 3D scenes with the built-in Scene Kit Editor.Cameras: Learn how to move the viewpoint around your game.Lights: Learn how to illuminatre your games with different types of lights.Primitives: Construct an entire game with just primitive shapes.Collision Detection: Learn how to detect when your game objects collide.Materials: Unleash reality, and learn about all the various types of textures.Reference Nodes: Leverage the power of reference nodes to built massive scenes.Transitions: Learn how to transition from one scene to another.Actions: Add animation with the built-in Action Editor.And much more, including: Shadows, Motion Control, Advanced Collision Detection Techniques and Audio. 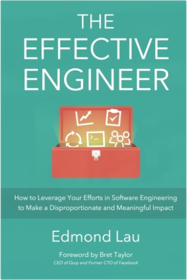 Edmond LauThe most effective engineers — the ones who have risen to become distinguished engineers and leaders at their companies — can produce 10 times the impact of other engineers, but they're not working 10 times the hours. This is just a small sampling of the hard questions I posed to them: What engineering qualities correlate with future success?What have you done that has paid off the highest returns?What separates the most effective engineers you've worked with from everyone else?What's the most valuable lesson your team has learned in the past year?What advice do you give to new engineers on your team? You'll get to hear stories like: How did Instagram's team of 5 engineers build and support a service that grew to over 40 million users by the time the company was acquired?How and why did Quora deploy code to production 40 to 50 times per day?How did the team behind Google Docs become the fastest acquisition to rewrite its software to run on Google's infrastructure?How does Etsy use continuous experimentation to design features that are guaranteed to increase revenue at launch?How did Facebook's small infrastructure team effectively operate thousands of database servers?How did Dropbox go from barely hiring any new engineers to nearly tripling its team size year-over-year? Here's a sneak peek at some of the lessons you'll learn. You'll learn how to: Prioritize the right projects and tasks to increase your impact.Earn more leeway from your peers and managers on your projects.Spend less time maintaining and fixing software and more time building and shipping new features.Produce more accurate software estimates.Validate your ideas cheaply to reduce wasted work.Navigate organizational and people-related bottlenecks.Find the appropriate level of code reviews, testing, abstraction, and technical debt to balance speed and quality.Shorten your debugging workflow to increase your iteration speed.Use metrics to quantify your impact and consistently make progress. Michael LoppRead hilarious stories with serious lessons that Michael Lopp extracts from his varied and sometimes bizarre experiences as a manager at Apple, Pinterest, Palantir, Netscape, Symantec, Slack, and Borland. Many of the stories first appeared in primitive form in Lopp’s perennially popular blog, Rands in Repose. 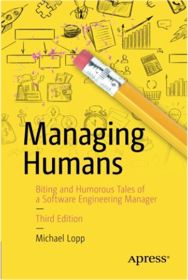 The Third Edition of Managing Humans contains a whole new season of episodes from the ongoing saga of Lopp's adventures in Silicon Valley, together with classic episodes remastered for high fidelity and freshness. 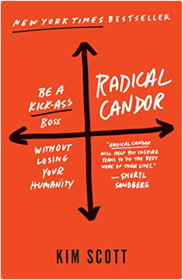 Whether you're an aspiring manager, a current manager, or just wondering what the heck a manager does all day, there is a story in this book that will speak to you―and help you survive and prosper amid the general craziness of dysfunctional bright people caught up in the chase of riches and power. Scattered in repose among these manic misfits are managers, an even stranger breed of people who, through a mystical organizational ritual, have been given power over the futures and the bank accounts of many others. Lopp's straight-from-the-hip style is unlike that of any other writer on management and leadership. He pulls no punches and tells stories he probably shouldn't. But they are magically instructive and yield Lopp’s trenchant insights on leadership that cut to the heart of the matter―whether it's dealing with your boss, handling a slacker, hiring top guns, or seeing a knotty project through to completion. 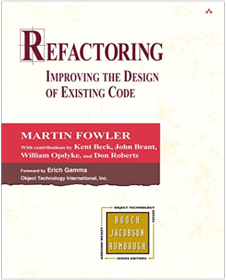 Robert C. MartinEven bad code can function. 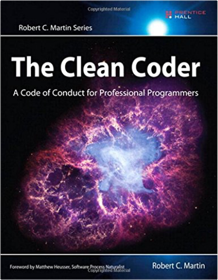 But if code isn’t clean, it can bring a development organization to its knees. Every year, countless hours and significant resources are lost because of poorly written code. But it doesn’t have to be that way. 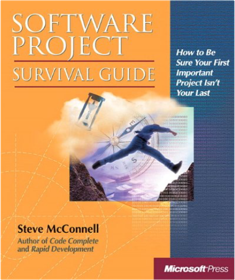 Robert C. MartinProgrammers who endure and succeed amidst swirling uncertainty and nonstop pressure share a common attribute: They care deeply about the practice of creating software. They treat it as a craft. They are professionals. 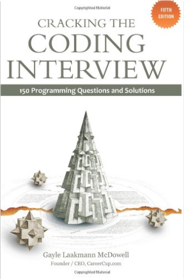 Gayle Laakmann McDowellNow in the 5th edition, Cracking the Coding Interview gives you the interview preparation you need to get the top software developer jobs. 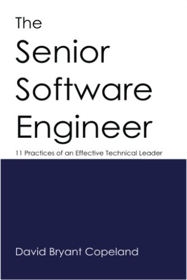 This is a deeply technical book and focuses on the software engineering skills to ace your interview. 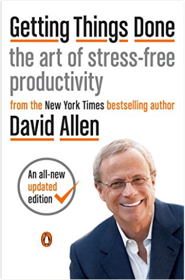 The book is over 500 pages and includes 150 programming interview questions and answers, as well as other advice. The Interview ProcessThis section offers an overview on questions are selected and how you will be evaluated. What happens when you get a question wrong? When should you start preparing, and how? What language should you use? All these questions and more are answered. Behind the ScenesLearn what happens behind the scenes during your interview, how decisions really get made, who you interview with, and what they ask you. Companies covered include Google, Amazon, Yahoo, Microsoft, Apple and Facebook. Special SituationsThis section explains the process for experience candidates, Program Managers, Dev Managers, Testers / SDETs, and more. Learn what your interviewers are looking for and how much code you need to know. Before the InterviewIn order to ace the interview, you first need to get an interview. This section describes what a software engineer's resume should look like and what you should be doing well before your interview. Behavioral PreparationAlthough most of a software engineering interview will be technical, behavioral questions matter too. This section covers how to prepare for behavioral questions and how to give strong, structured responses. Technical Questions (+ 5 Algorithm Approaches)This section covers how to prepare for technical questions (without wasting your time) and teaches actionable ways to solve the trickiest algorithm problems. It also teaches you what exactly "good coding" is when it comes to an interview. 150 Programming Questions and AnswersThis section forms the bulk of the book. Each section opens with a discussion of the core knowledge and strategies to tackle this type of question, diving into exactly how you break down and solve it. Topics covered include Arrays and StringsLinked ListsStacks and QueuesTrees and GraphsBit ManipulationBrain TeasersMathematics and ProbabilityObject-Oriented DesignRecursion and Dynamic ProgrammingSorting and SearchingScalability and Memory LimitsTestingC and C++JavaDatabasesThreads and LocksFor the widest degree of readability, the solutions are almost entirely written with Java (with the exception of C / C++ questions). A link is provided with the book so that you can download, compile, and play with the solutions yourself. Randall MunroeRandall Munroe describes xkcd as a webcomic of romance, sarcasm, math, and language. While it's practically required reading in the geek community, xkcd fans are as varied as the comic's subject matter. This book creates laughs from science jokes on one page to relationship humor on another. xkcd: volume 0 is the first book from the immensely popular webcomic with a passionate readership (just Google "xkcd meetup"). The artist selected personal and fan favorites from his first 600 comics. It was lovingly assembled from high-resolution original scans of the comics (the mouseover text is discreetly included), and features a lot of doodles, notes, and puzzles in the margins. The book is published by Breadpig, which donates all of the publisher profits from this book to Room to Read for promoting literacy in the developing world. 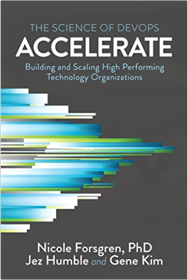 Nicole Forsgren PhD, Jez Humble, Gene KimAccelerate your organization to win in the marketplace. Harvard Business Review, Peter Ferdinand Drucker, Clayton M. Christensen, Daniel GolemanThe path to your professional success starts with a critical look in the mirror. 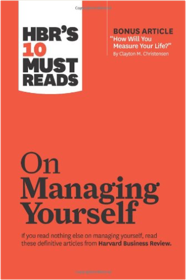 If you read nothing else on managing yourself, read these 10 articles (plus the bonus article How Will You Measure Your Life?” by Clayton M. Christensen). We've combed through hundreds of Harvard Business Review articles to select the most important ones to help you maximize yourself. 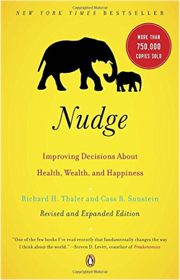 This collection of best-selling articles includes: bonus article How Will You Measure Your Life?” by Clayton M. Christensen, "Managing Oneself," "Management Time: Who's Got the Monkey?" 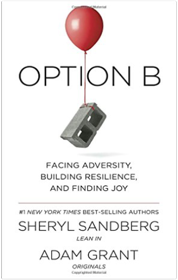 "How Resilience Works," "Manage Your Energy, Not Your Time," "Overloaded Circuits: Why Smart People Underperform," "Be a Better Leader, Have a Richer Life," "Reclaim Your Job," "Moments of Greatness: Entering the Fundamental State of Leadership," "What to Ask the Person in the Mirror," and "Primal Leadership: The Hidden Driver of Great Performance." 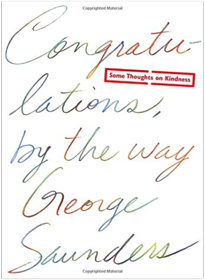 George SaundersNEW YORK TIMES BESTSELLER • This inspiring meditation on kindness from the author of Lincoln in the Bardo is based on his popular commencement address. Product School, Josh Anon"Nobody asked you to show up." Every experienced product manager has heard some version of those words at some point in their career. Think about a company. Engineers build the product. Designers make sure it has a great user experience and looks good. Marketing makes sure customers know about the product. Sales get potential customers to open their wallets to buy the product. What more does a company need? 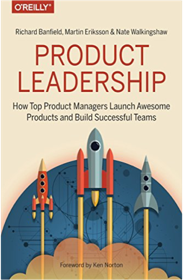 What does a product manager do? 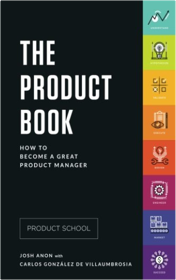 Based upon Product School’s curriculum, which has helped thousands of students become great product managers, The Product Book answers that question. 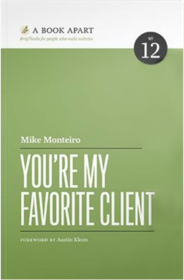 Filled with practical advice, best practices, and expert tips, this book is here to help you succeed! 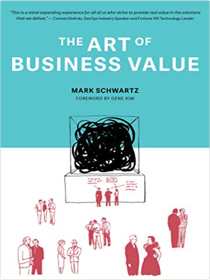 Mark SchwartzDo you really understand what business value is? Information technology can and should deliver business value. But the Agile literature has paid scant attention to what business value means―and how to know whether or not you are delivering it. This problem becomes ever more critical as you push value delivery toward autonomous teams and away from requirements “tossed over the wall” by business stakeholders. An empowered team needs to understand its goal! From the time we learn to speak, we’re told that if you don’t have anything nice to say, don’t say anything at all. When you become a manager, it’s your job to say it—and your obligation. Simon SinekFinally in paperback: the New York Times bestseller by the acclaimed, bestselling author of Start With Why and Together is Better. 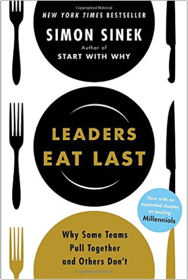 Now with an expanded chapter and appendix on leading millennials, based on Simon Sinek's viral video "Millenials in the workplace" (150+ million views). The answer became clear during a conversation with a Marine Corps general. "Officers eat last," he said. Sinek watched as the most junior Marines ate first while the most senior Marines took their place at the back of the line. What's symbolic in the chow hall is deadly serious on the battlefield: Great leaders sacrifice their own comfort—even their own survival—for the good of those in their care. 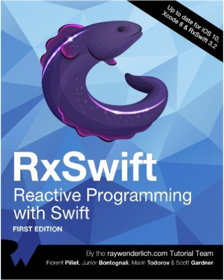 raywenderlich.com Team, Florent Pillet, Junior Bontognali, Marin Todorov, Scott GardnerLearn reactive programming in Swift with RxSwift! Topics Covered in RxSwiftGetting Started: Get an introduction to the reactive programming paradigm, learn the terminology involved and see how to begin using RxSwift in your projects.Event Management: Learn how to handle asynchronous event sequences via two key concepts in Rx — Observables and Observers.Being Selective: See how to work with various events using concepts such as filtering, transforming, combining, and time operators.UI Development: RxSwift makes it easy to work with the UI of your apps using RxCocoa, which provides an integration of both UIKit and Cocoa.Intermediate Topics: Level up your RxSwift knowledge with chapters on reactive networking, multi-threading, and error handling.Advanced Topics: Round out your RxSwift education by learning about MVVM app architecture, scene-based navigation, and exposing data via services.And much, much more! By the end of this book, you’ll have hands-on experience solving common issues in a reactive paradigm — and you’ll be well on your way to coming up with your own Rx patterns and solutions! Laura Vanderkam has combined her three popular mini e-books into one comprehensive guide, with a new introduction. 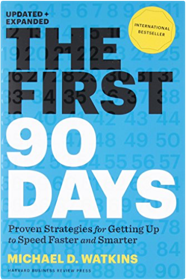 It will help readers build habits that lead to happier, more productive lives, despite the pressures of their busy schedules. 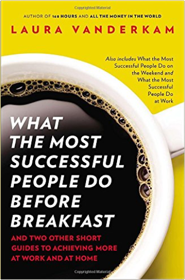 Trough interviews and anecdotes, she reveals . . .What the Most Successful People Do Before Breakfast—to jump-start the day productively.What the Most Successful People Do On the Weekend—to recharge and prepare for a great week.What the Most Successful People Do at Work—to accomplish more in less time. 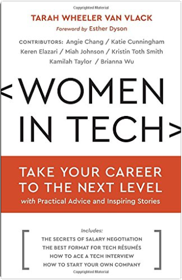 Tarah Wheeler Van VlackGeared toward women who are considering getting into tech, or those already in a tech job who want to take their career to the next level, this book combines practical career advice and inspiring personal stories from successful female tech professionals Brianna Wu (founder, Giant Spacekat), Angie Chang (founder, Women 2.0), Keren Elazari (TED speaker and cybersecurity expert), Katie Cunningham (Python educator and developer), Miah Johnson (senior systems administrator), Kristin Toth Smith (tech executive and inventor), and Kamilah Taylor (mobile and social developer). Perfect for its audience of hackers and coders, the book contains puzzles and code, created as love letters to women in the tech industry. 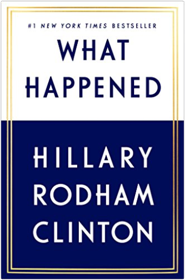 A distinguished anonymous contributor created the Python code for the cover of the book (ghosted in gloss on the hardcover jacket, and also printed on one of the first pages). It references the mother of computer science, Ada Lovelace. Run the code to see what it does! Mike Selinker and Gaby Weidling of Lone Shark Games, and cryptographer and DefCon puzzle master Ryan “LostboY” Clarke created an “easter egg” of puzzles throughout the book - readers who decipher the puzzles get a prize from the author! 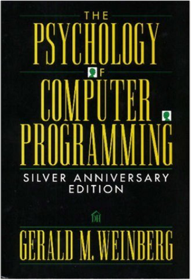 Gerald M. WeinbergThis landmark 1971 classic is reprinted with a new preface, chapter-by-chapter commentary, and straight-from-the-heart observations on topics that affect the professional life of programmers. 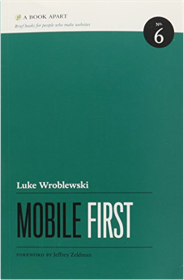 Luke WroblewskiOur industry's long wait for the complete, strategic guide to mobile web design is finally over. Former Yahoo! design architect and co-creator of Bagcheck Luke Wroblewski knows more about mobile experience than the rest of us, and packs all he knows into this entertaining, to-the-point guidebook. Its data-driven strategies and battle tested techniques will make you a master of mobile-and improve your non-mobile design, too!